It has been suggested that this article be merged with Countries of the United Kingdom. (Discuss) Proposed since March 2019. "Home Country" redirects here. For the book by Ernie Pyle, see Home Country (book). "Home countries" redirects here. It is not to be confused with Home counties. The Home Nations, or Home Countries, refer collectively to England, Scotland, Wales, and Northern Ireland (countries of the United Kingdom), and in certain sports (e.g. rugby football and cricket) include the whole island of Ireland. 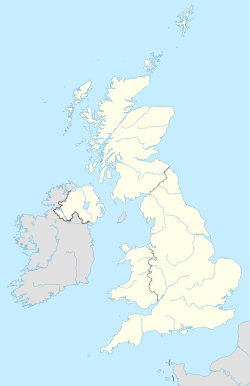 The term "Home Nations" is used in this second sense partly because Northern Ireland and the Republic of Ireland have a unified association structure in certain sports, such as the Irish Rugby Football Union and Cricket Ireland. Formerly, the term was applied in general in this same wider sense, such as the period between 1801 and 1922, when the whole island of Ireland was part of the United Kingdom. The synonymous "Home Countries" (not to be confused with the "home counties") is also sometimes used. The term has yet a third meaning in the context of British Cycling, where it refers collectively to the seven teams representing the four constituent countries of the United Kingdom plus the three Crown Dependencies (the Isle of Man, Jersey and Guernsey) that participate in the Commonwealth Games. The Crown Dependencies are not part of the United Kingdom, but are politically associated with it, and together make up the British Islands. In association football, the Home Nations originally referred to the then four national teams of the United Kingdom: England, Ireland, Scotland and Wales. Today, the term refers to the teams of England, Northern Ireland, Scotland and Wales – the teams that contested the British Home Championship until 1984 – although references to the Home Nations sometimes include the Republic of Ireland team. A debate took place among the football associations that govern the sport in England, Scotland, Wales and Northern Ireland, over whether they would allow their members to participate in the 2012 Summer Olympics as a single UK team. The English Football Association (the only association in favour of participation), and the news media used the term Home Nations to describe the parties to the debate. In the event, a team consisting only of English and Welsh players took part (with the Football Association of Wales still opposed, but not placing sanctions on those Welsh players who chose to play). In 1883, the first Home Nations Championship was played between England, Ireland, Scotland and Wales. At this point in its history, the competition contained only teams from the UK. In 1910, France officially joined the competition and it was renamed the Five Nations Championship. Despite the partition of Ireland and the secession of the Republic of Ireland from the United Kingdom, the island of Ireland still fields a single sports team and is referred to as a Home Nation in the context of rugby union. When France was expelled from the international championship in 1932, the tournament reverted to being known simply as the Home Nations tournament until the readmission of France immediately after the 1939 tournament, just before World War II caused its suspension until 1947. Since the admission of Italy in 2000, the tournament has been known by its current name, the Six Nations Championship. Victories by any Home Nation over all of the other three Home Nations in one Championship season is a Triple Crown. The Home Nations also contribute players to a unified team known as the British and Irish Lions. Southern Hemisphere teams who beat all four home nations in one tour are said to have a Grand Slam Tour. The Amateur Four Nations competition in rugby league, run annually from 2002 to 2007 for the A sides of Wales, England, Scotland and Ireland, was also referred to as the "home nations championship". ^ "Key facts about the United Kingdom". Government, citizens and rights. Directgov. Archived from the original on 15 November 2008. Retrieved 26 June 2008. The full title of this country is 'the United Kingdom of Great Britain and Northern Ireland'. 'The UK' is made up of England, Scotland, Wales and Northern Ireland. 'Great Britain' does not include Northern Ireland. The Channel Islands and the Isle of Man are not part of the UK. ^ Scott, Les (2008). End to End Stuff: The Essential Football Book. London: Random House. p. 446. ISBN 978-0-59306-068-1. Retrieved 25 April 2013. ^ Nauright, John; Parrish, Charles, eds. (2012). Sports Around the World: History, Culture, and Practice. Oxford, England: ABC-CLIO. p. 20. ISBN 978-1-59884-300-2. Retrieved 25 April 2013. ^ "Football For All U 18 schools to defend Championship title". Football Association of Ireland. 5 April 2010. Retrieved 25 April 2013. ^ "Possible Team GB?". official website of the English FA. Archived from the original on 30 April 2011. Retrieved 16 November 2010. Ideally we would like to work with the other Home Nations but even if they decide not to take part our commitment is unchanged. ^ "London 2012: Hugh Robertson puts Home Nations football team on agenda". The Daily Telegraph. 16 November 2010. ^ BBC staff (5 July 2012). "London 2012: No Wales sanction for Olympic four". BBC. ^ "Tokyo 2020 Olympics: Home nations agree to GB women's football team". BBC News. 1 October 2018. Retrieved 2 October 2018. ^ "Official RBS 6 Nations Rugby : History". IRB. Archived from the original on 11 May 2008. Retrieved 12 October 2010. Victory by any Home Nation over the other three Home Nations is a 'Triple Crown'. ^ Mortimer, James (5 April 2010). "A look at the All Blacks touring Grand Slams". allblacks.com, the official website of the All Blacks and NZ Rugby. Retrieved 14 February 2011.